The scripture passage in Habakkuk 2:14 holds a powerful promise of God filling the whole Earth with a knowledge of His glory. 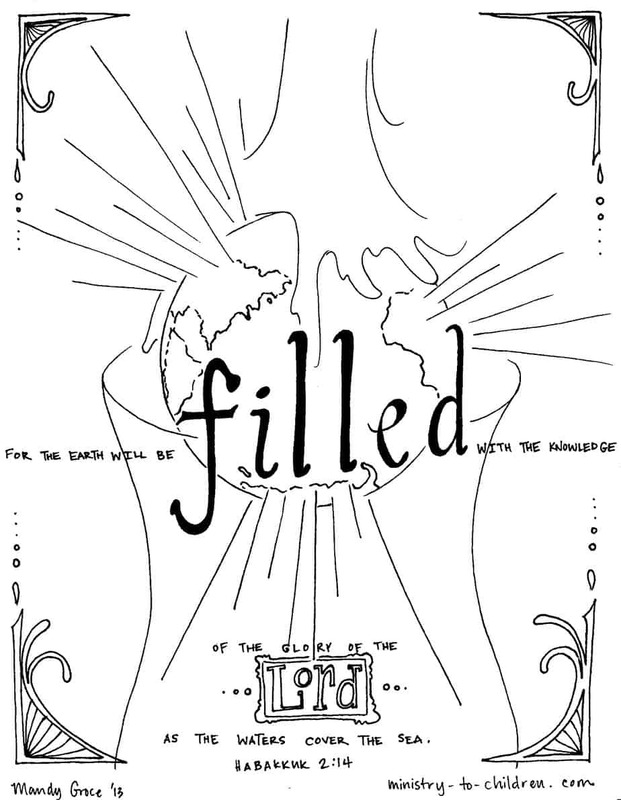 This coloring page is based on that verse and would be helpful for children who are committing this Bible verse to memory. Click on the preview image on the right to download this illustration as a print-friendly PDF document. We’ve also uploaded the JPEG version of the file for anyone interested in editing the image on their own. Like all our resources, this download is 100% free to use in your church, home, or school. 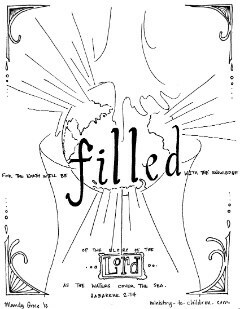 Please leave a comment to share how you will use this coloring sheet. Don’t miss more like this linked from our Bible memory verse page. There is also a good memory song based on this verse from Mark Altrogge on his Word of the Cross CD. Tony Kummer (Editor) reviewed & updated this page on : January 25, 2013 at 8:40 am. All our content is peer reviewed by our readers, simply leave a comment on any post suggest an update.